We really appreciate you giving us your email address and we promise not to spam you or to pass your details onto third parties. You will now receive emails from Worship Backing Band and our sister company Musicademy. You can unsubscribe from these at any time by clicking "unsubscribe" in the email. You will also receive emails about free MultiTracks. Each month we try to give a free MultiTrack backing track away. This is always subject to permissions from writers and publishers for gratis use. Click here to go to this month's free track. 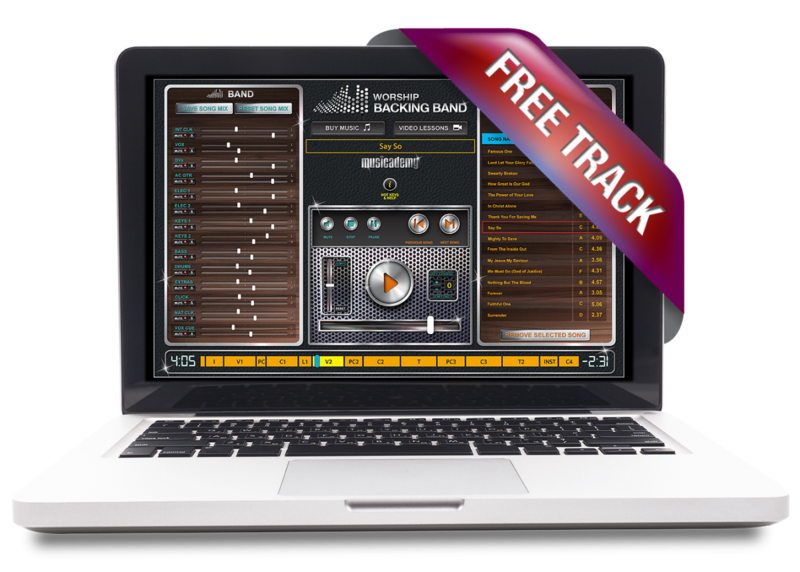 You will need a copy of Worship Backing Band's MultiTrack Player to play the backing track. MultiTrack is the simplest and least expensive solution to get a full band sound from your worship team, even if you’ve only got a couple of musicians.